Our 14’ Troutstalker is, in our opinion, our finest example of inspired design, high precision detailing and the ultimate high tech fly fishing platform on the market. We have created a truly unique boat. Twelve years in the making, and sparing no expense, we’ve built a stable boat for larger stillwaters. We took out 3 of the 5 seats that were used to give the hull its torsional stiffness. We replaced them with bow and stern casting platforms and a flat floor center section out of ¾” high tech foam core. This strategically surpasses the stiffness of the original seats. Production time is about 6 months due to the massive number of man hours put into this boat. Every part, every platform, every piece is hand cut, hand crafted, hand fit and hand laid into each boat. This is not your grandpa’s jon boat! We have found nothing that compares to this boat. 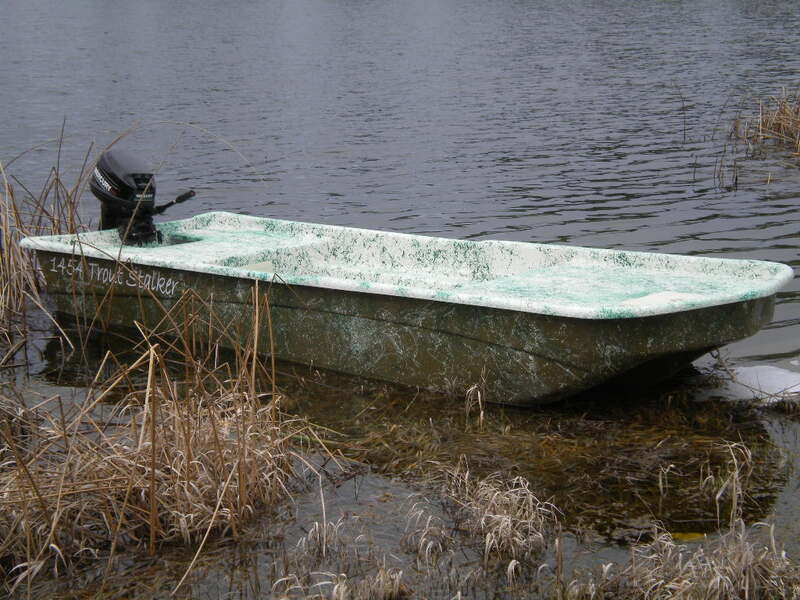 If you compare this boat to an aluminum jon boat - go ahead. If you’re just looking for a cheap price, I don't play that game. I don’t do price wars. I design and build quality boats. The Troutstalker is my life’s accomplishment and my personal and business pride and joy. It is the finest fly fishing platform available anywhere. Try to prove me wrong.